Omigod - as autumn approaches and the nights are drawing in, Legally Blonde is creating a fabulously pink infusion of summer fun in the gorgeous grounds of Kilworth House Hotel’s theatre. From a distance the show’s story couldn’t be cheesier. Elle expects boyfriend Warner to propose to her but instead the cad dumps her, prior to his leaving town to study law at Harvard – and find a fiancée of greater intellect and social standing. Not to be put down, Elle pursues her man, studying hard and also joining Harvard Law School. What follows is a story as delicious as it is improbable, as through a combination of hard work and sassy female intuition Elle heroically wins the day. 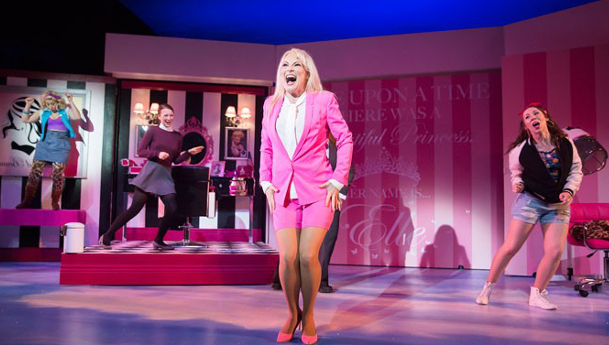 To say any more would spoil – for actually Legally Blonde is all about brilliantly executed song and dance, the breaking and mending of hearts and the lampooning of men whose attitudes to female equality belong in the Stone Age. Fresh up from being nominated in London’s Off West Awards for Best Female Performer of the Year, Jennifer Harding is Elle. Barely off stage throughout, the strikingly blonde Canadian drives the show with stunning vocals and breathtaking presence. We sense her indignation, resilience, passion and yes at times, a deliciously ditzy blondeness that fuels the narrative. All of Harding’s singing is a treat, with her take on the title song and its Remix, proving spectacular. Supporting Elle are a raft of featured characters. Greg Miller Burns is good-guy Emmet, who convinces in his transformation from geek to chic. The accomplished Jodie Jacobs is a delight as Paulette – scene stealing deservedly in her big number Ireland and bringing the house down during the Find My Way/Finale number. 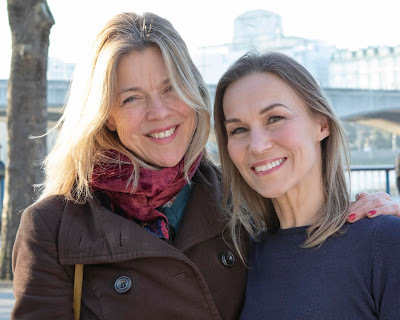 Jenny Gayner puts in an eye-wateringly energetic turn as fitness guru Brooke Wyndham, a woman whose circumstances provide the opportunity for Elle to triumph. Gayner’s Delta Nu Nu Nu duet with Harding proves to be another of the show’s ridiculously memorable moments. Mitch Sebastian directs and choreographs imaginatively – and for such a charmingly quirky venue, Philip Whitcomb’s set along with Chris Whybrow’s well-crafted sound design ensure all the action is both seen and heard as the sun sets behind the trees, with John Morton’s 11 piece band making fine work of the sugary score. Fun musicals don’t get better than this!